WASHINGTON, DC, December 13, 2010 (ENS) – The U.S. 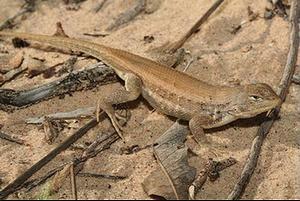 Fish and Wildlife Service today proposed to list the dunes sagebrush lizard as endangered under the Endangered Species Act. The Service has also determined that critical habitat for the dunes sagebrush lizard is “prudent,” but “not determinable” at this time. The dunes sagebrush lizard, Sceloporus graciosus arenicolus, faces “immediate and significant threats due to oil and gas activities, and herbicide treatments,” the Service said in its determination. Shinnery oak through much of the lizard’s range was sprayed with herbicide to clear the land for cattle grazing, and the lizards are now extinct at these locations. 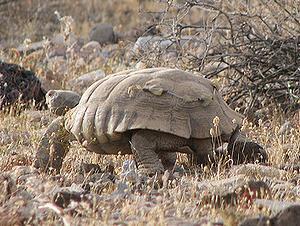 Oil industry activities in the dunes allow mesquite to invade areas where shinnery oak and lizards once were found. While herbicide spraying has been outlawed in the lizard’s New Mexico habitat, development for the oil industry continues. 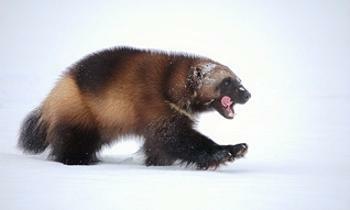 Wolverines found in the lower 48 states warrant protection under the Endangered Species Act, due to the impact of climate warming on their alpine habitat but a rulemaking to propose the species for protection is “precluded by the need to address other higher priority species,” the Service announced today. Data and analysis requested from the University of Washington Climate Impacts Group and the U.S. Forest Service Rocky Mountain Research Station predict a reduction of wolverines’ cold and snowy habitat of 63 percent by 2099. The Service’s made its wolverine determination in response to a petition filed July 14, 2000, by the Biodiversity Legal Foundation, Predator Conservation Alliance, Defenders of Wildlife, Northwest Ecosystem Alliance, Friends of the Clearwater, and Superior Wilderness Action Network. On March 11, 2008, the Service published a 12-month finding that listing of the wolverine in the contiguous United States was “not warranted.” In response to litigation, the Service agreed to revisit its previous determination and issue a new 12-month finding by December 1, 2010. This finding alters the previous determination.